It is rightly said, "Prevention is better than Cure." Where at one end technological advancements have empowered us and enabled us to do the mere impossible things, at the other hand it is equally true that technology, machines, and processes can fail at any pint of time. In the context of photo, video, and audio loss, any unprecedented failure or malfunction of the data carriers, such camera, memory card, or hard disk, brings in huge impact on someone's personal as well as professional life. It becomes vital to know about certain tips and trick, so that we can, to some extent safeguard our precious multimedia content from being lost completely. 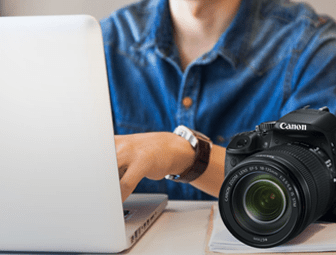 Do's & Don'ts in Digital Photo Loss - Learn important tips how to safeguard your digital photos and pictures against different situations of loss. Advice for Photo Inaccessibility from Media - Special photo recovery tips for both the cases when the media is accessible and inaccessible. Better Photo Organizing Tips of Prints and Films – Here are some great tips to organize printed photos and photographic films for prolonged preservation. Tips to Store Photos for Generations –Tips for storing your invaluable good old days intact for years. Some preferred ways to store your cherished memories are explained here. Vital tips for Memory Card Care – Tips to take proper care of the camera or mobile phone memory card so that it does not betray you at the time of utter necessitate.